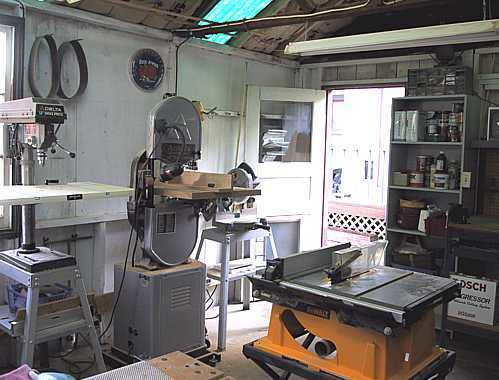 Here are a couple of shots of my workshed, with my Delta 14" bandsaw and 12" drill press. I bought the drill press table and built the bandsaw table from some plans in a woodworking magazine. ANNOUNCING : Some New Changes to This Shed!!! 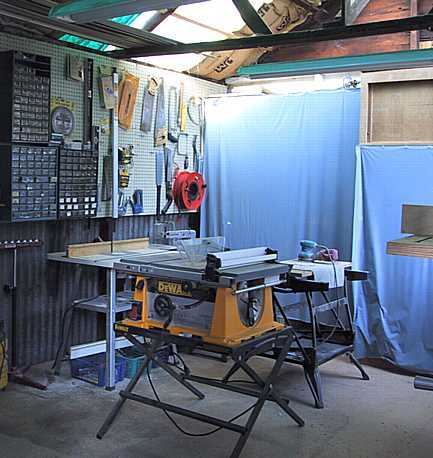 In the summer of 2003, I moved all my power tools into the new shed I had built. This summer (2004) I reorganized this old shed for use as a storage and assembly workroom.